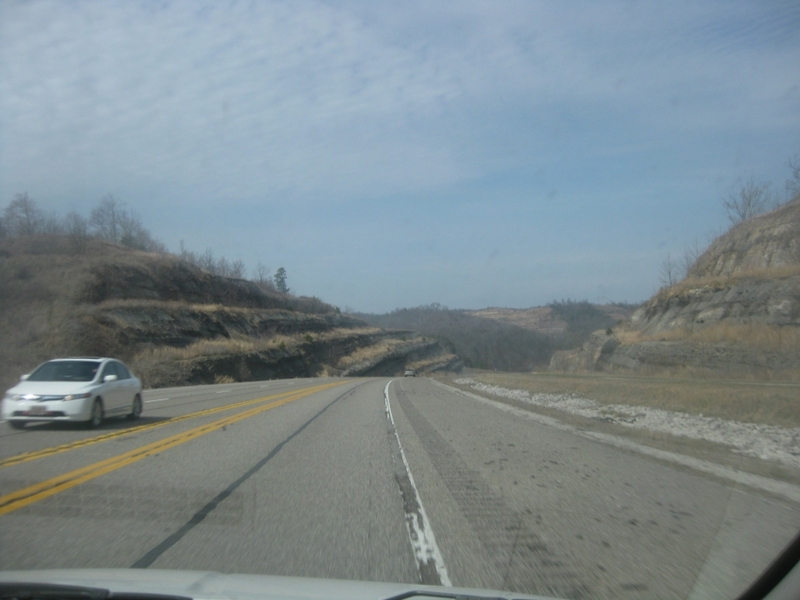 In the foreground is the stub ending of the US 52 divided highway near Kenova, WV. In the background is a refinery in Kentucky. At the center of the photo, you can see some sort of bridge over the Big Sandy River. 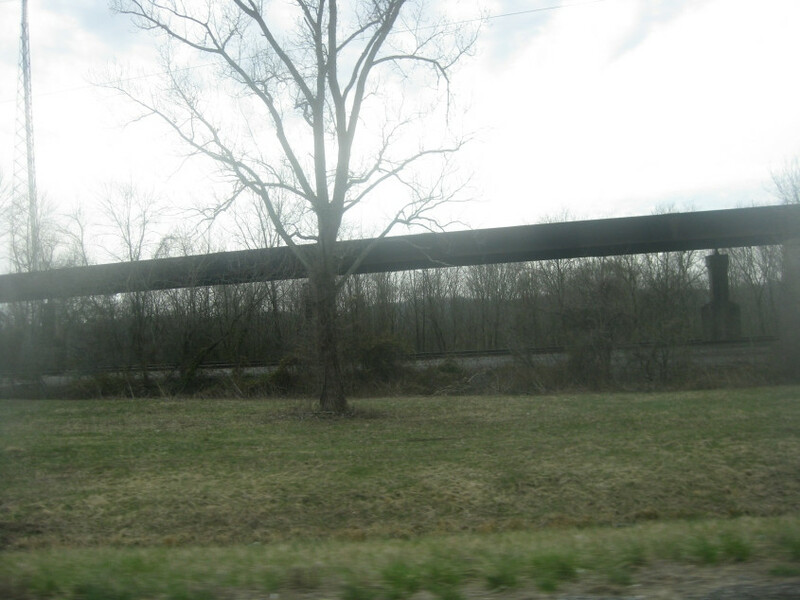 That span appears to be just a pipeline for the refinery. Here's the stub ending I'm talking about. 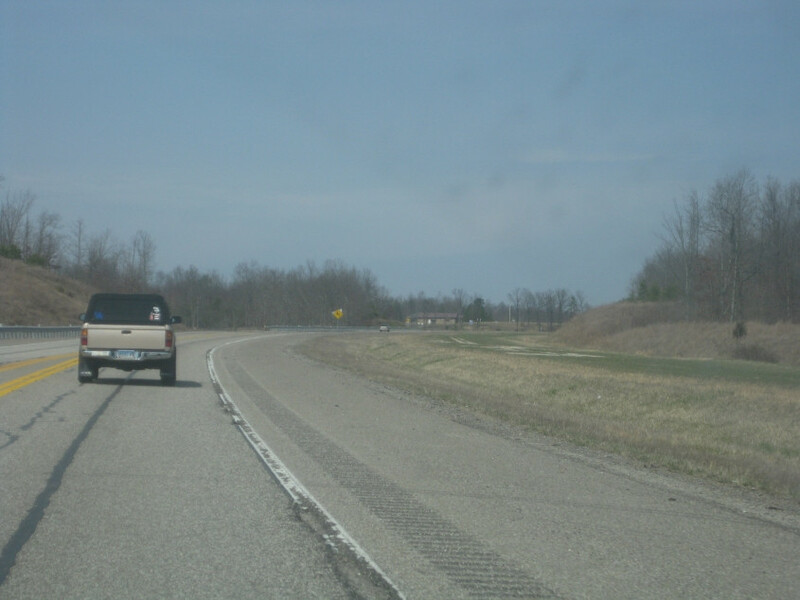 The divided highway was intended to go straight ahead here for as long as it dared. Look at this sign just standing here looking stupid. 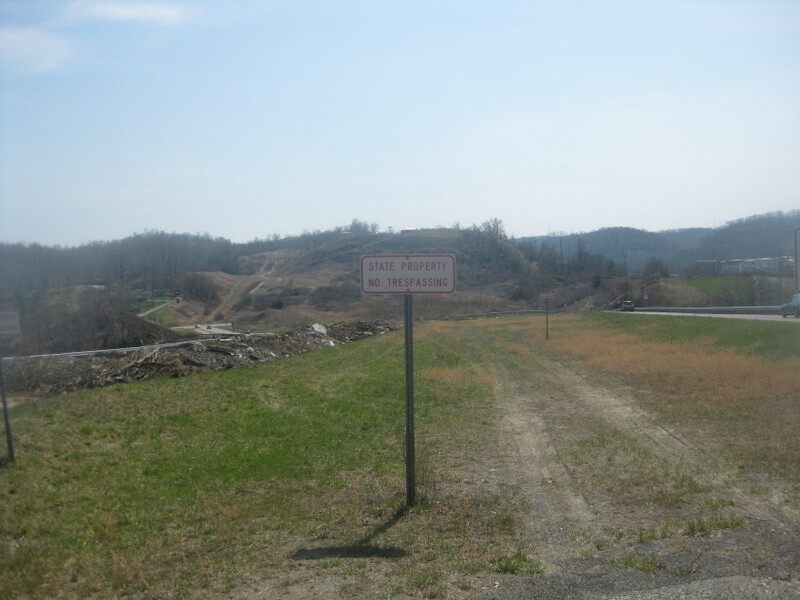 If it's state property, how is it even possible to trespass? No bother, because I promptly violated this Allowed Cloud in plain sight. 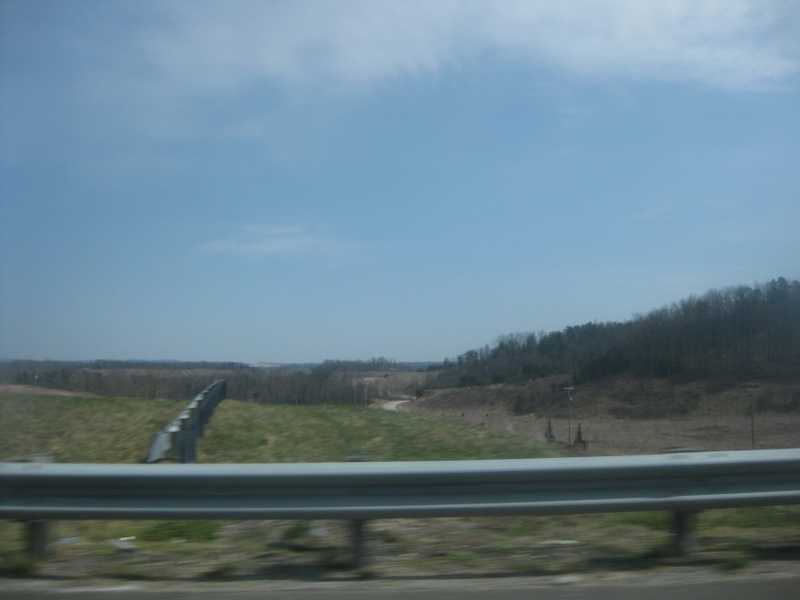 Looking north from I-64 in Kentucky. 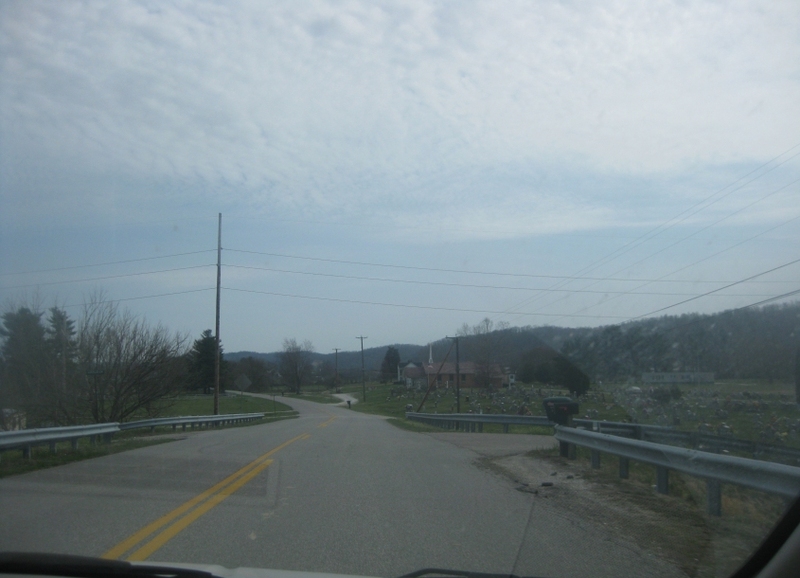 Here you see 2 minor bridges over the East Fork Little Sandy for roads off of KY 180. 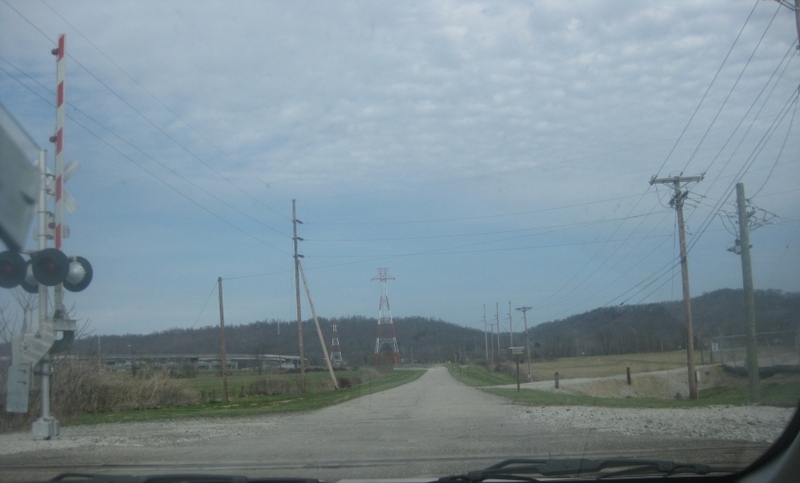 I'm guessing this is looking east from KY 67 (Industrial Parkway). 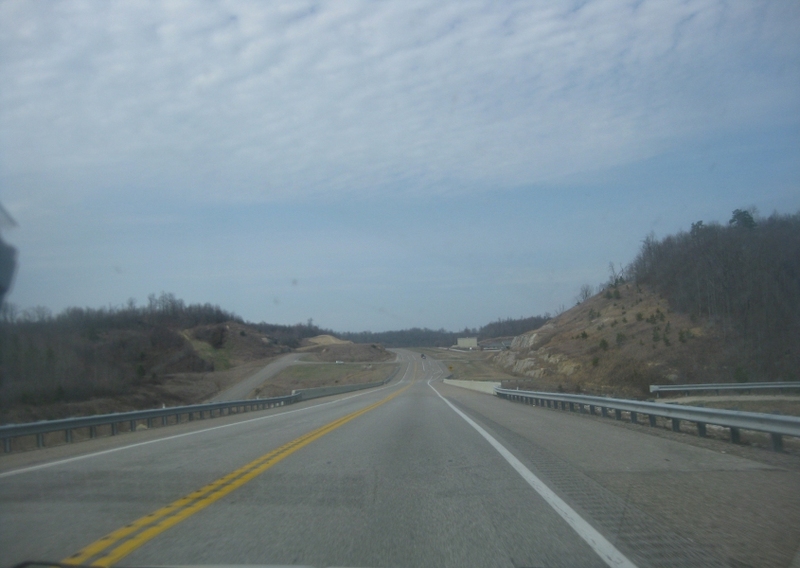 North on the relatively new KY 67. It appears to be expandable, as there's a flat clearing for another roadway at right. KY 67 again and again! 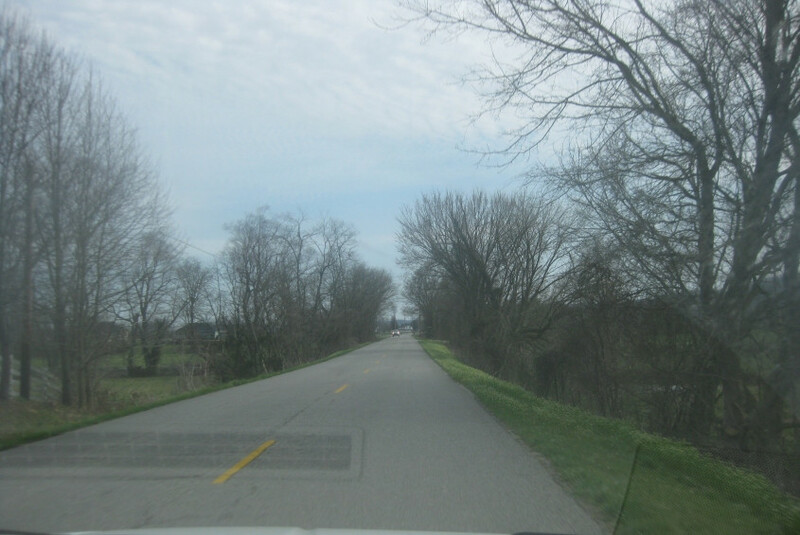 This has to be south on KY 3116 (Ohio River Road) in Grays Branch, KY. Best all, this is also Old US 23. How you like that? 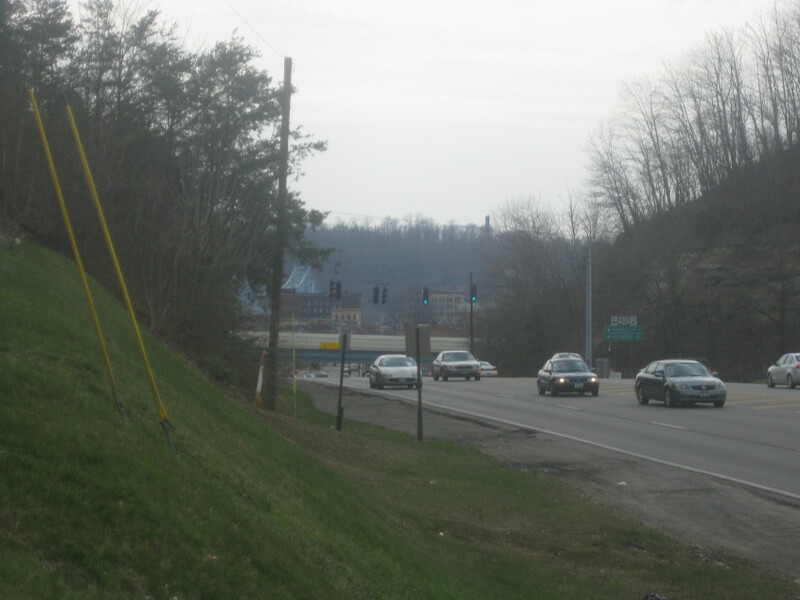 Continuing on Old US 23. 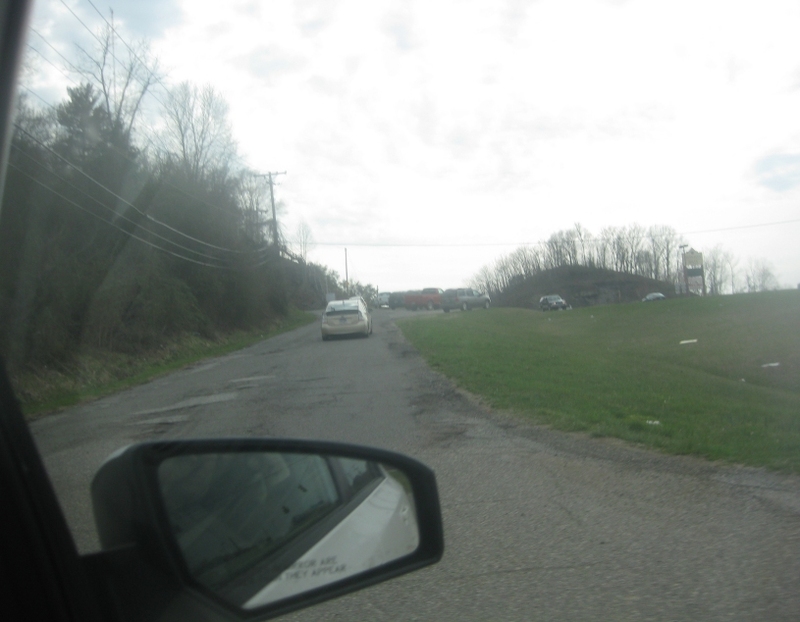 I deduce that this is Corp Street, a small road off Old US 23 near Greenup Dam. The Jesse Stuart Memorial Bridge - which accompanies the dam - is in the background at left. 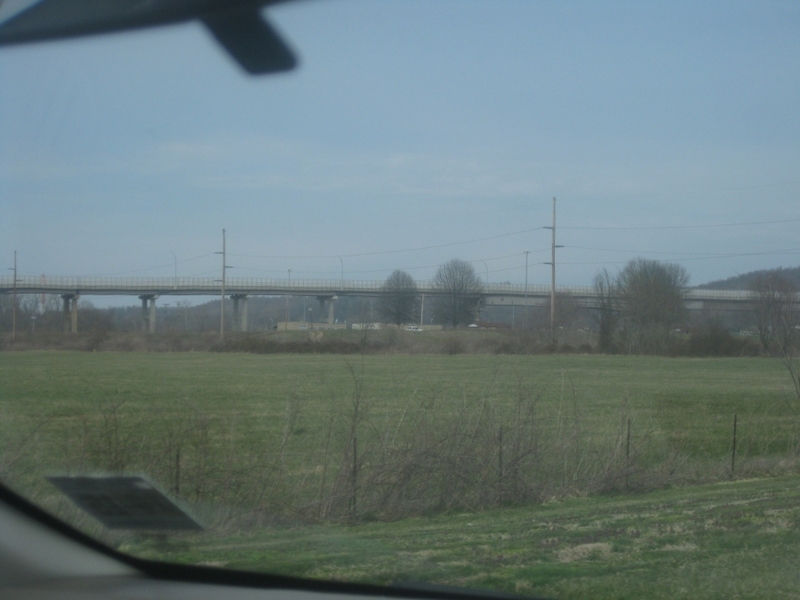 The Jesse Stuart Bridge represents the east end of the lengthy KY 10. It becomes OH 253 at the state line. The bridge opened in 1984. A good view of the bridge and the dam. 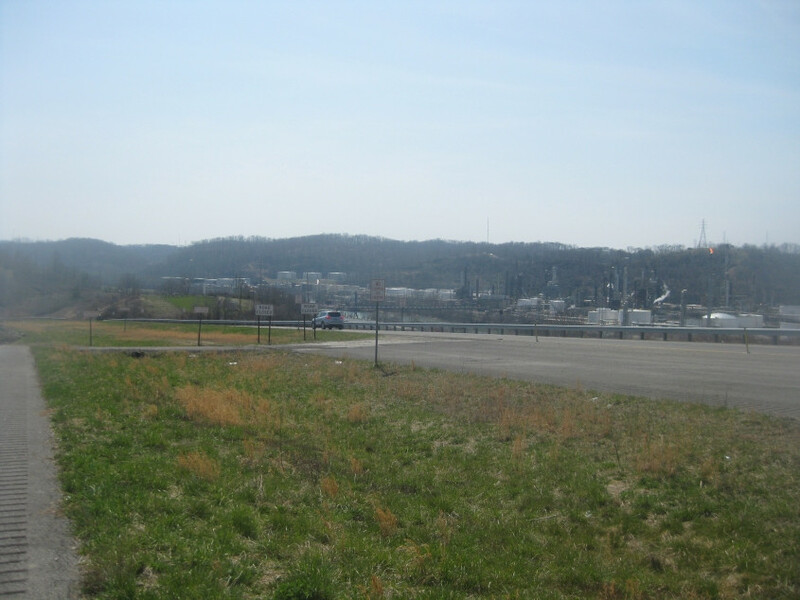 The ramp from the end of the Jesse Stuart Bridge to US 52 east near Franklin Furnace, OH. You'll notice this roadway sprouts a left-hand ramp up ahead. 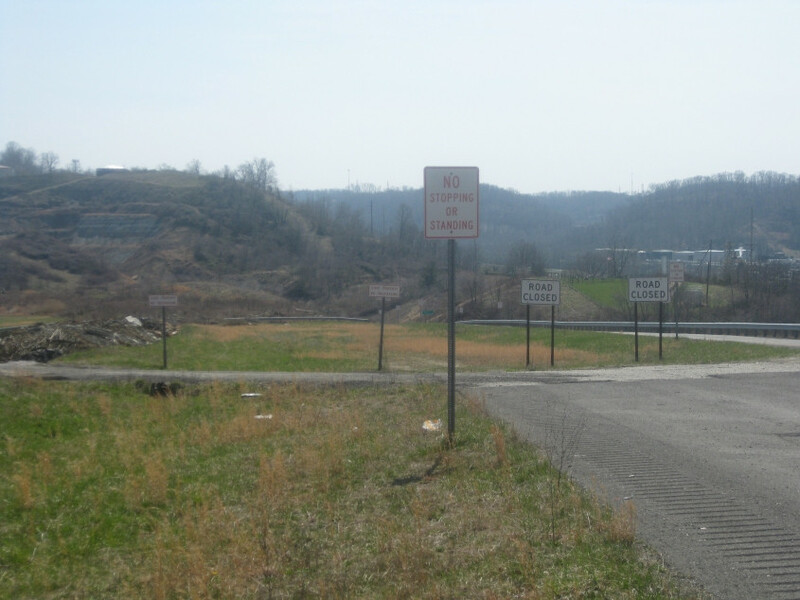 That ramp goes to Old US 52. 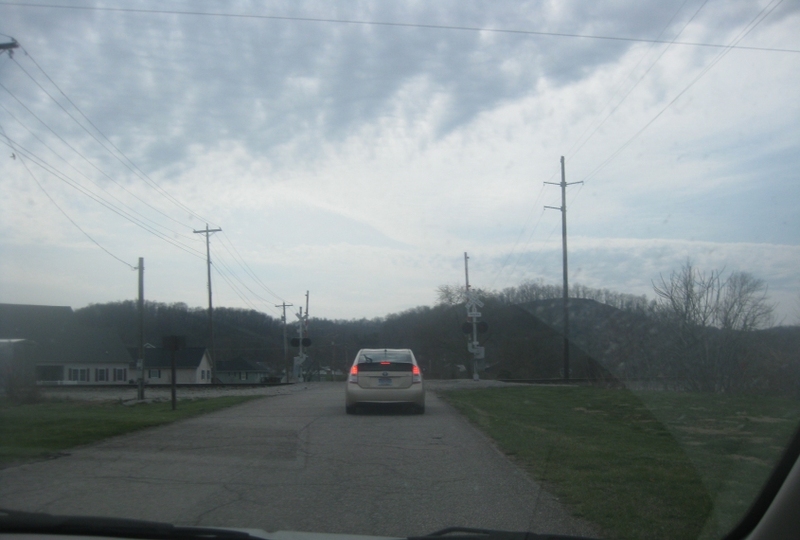 I think this is a view from US 52 towards the ramp to Old US 52 as it goes over a rail line. Still on US 52, this sign forecasts the spectacle that's still to come. You're gonna love what's coming up in the next part, folks! 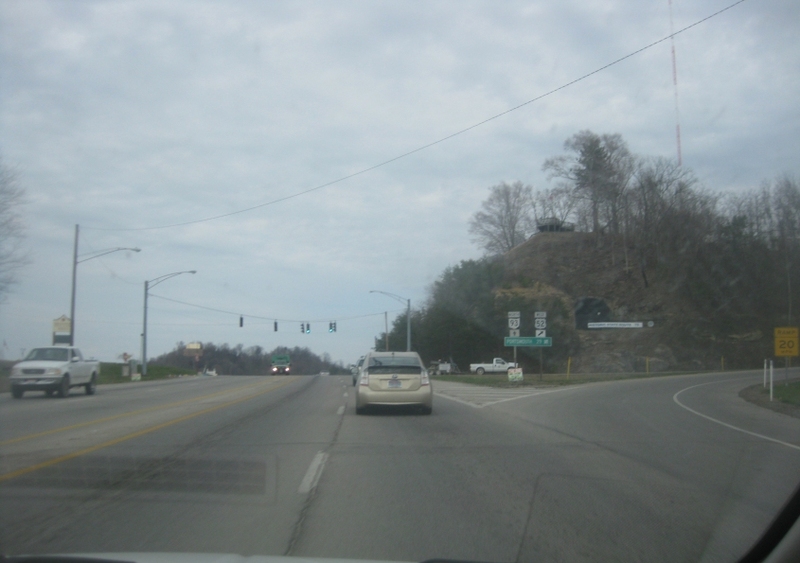 Northeast on OH 93 in Ironton, OH. 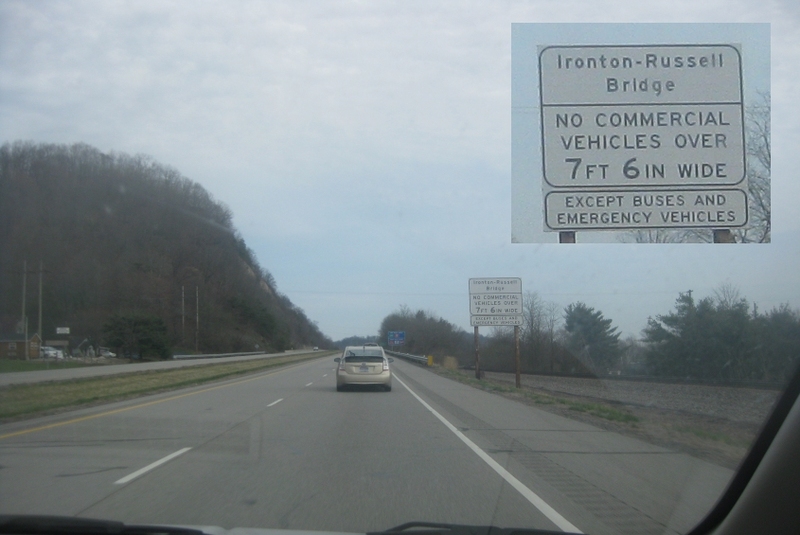 Ironton represents some of the highlights of this roadmeet. 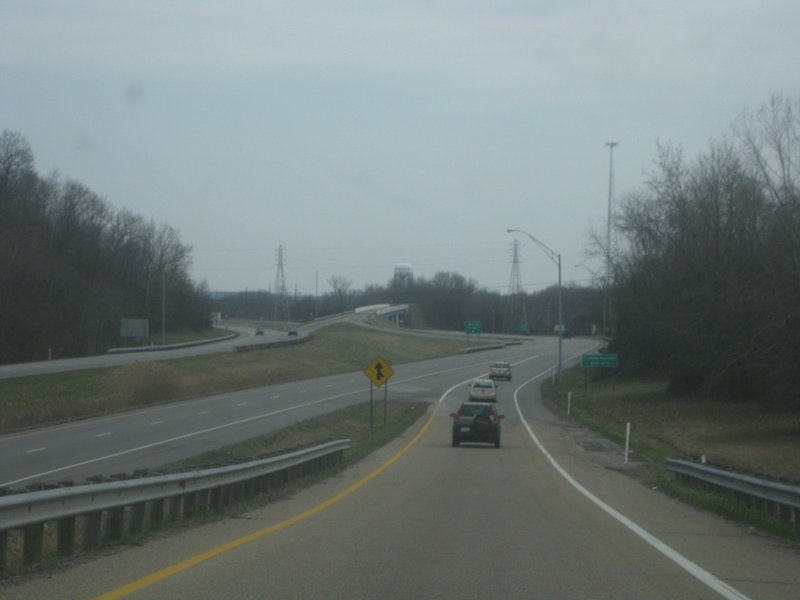 OH 93 runs all the way to Akron, but the part from Ironton to West Lafayette was OH 75 until 1962 - when it was renumbered due to construction of I-75 halfway across the state. What's most striking here is the tunnel in the hill at center right. See it? That tunnel was for OH 75 - back when it was still OH 75 - and it closed in 1960 when the new road ahead was built. 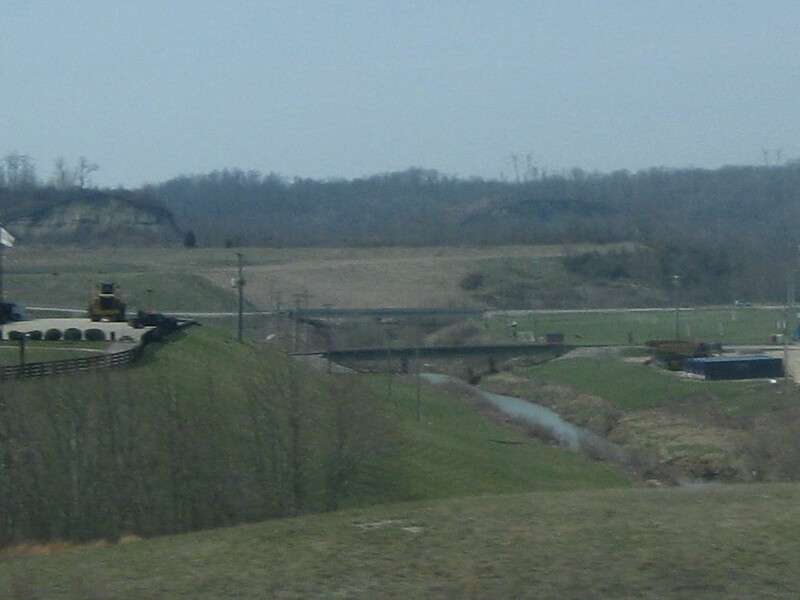 Southwest on the old portion of OH 75, approaching the tunnel. A view of the modern OH 93. You can see US 52 passing it over. 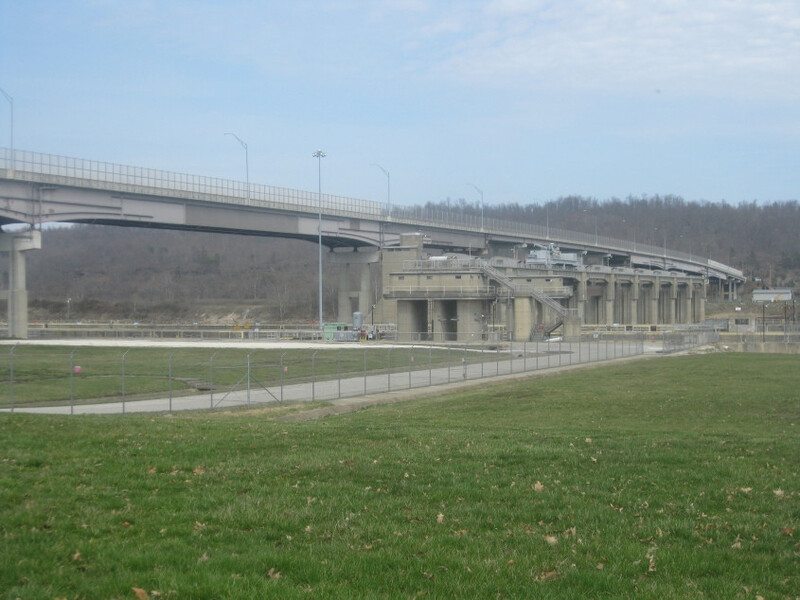 The blue framework of the Ironton-Russell Bridge looms deep in the background. 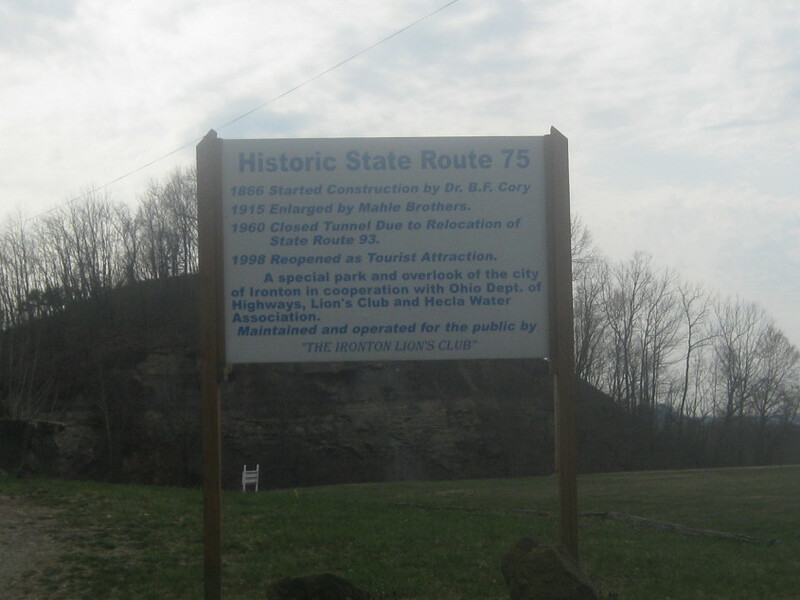 This sign outlines the history of the tunnel, which apparently was started way back in 1866.